Adrienne Minh-Chau Le is a PhD student focusing on twentieth century Vietnamese and US history. Her research interests include the Vietnamese Buddhist anti-war movement, postwar migration, and the Vietnamese diaspora. She is interested in the digital humanities and exploring how we can use technology to democratize the creation and ownership of historical narratives. Born to Vietnamese refugees and raised in North Carolina, Adrienne received her BA in History from Yale University in 2014. 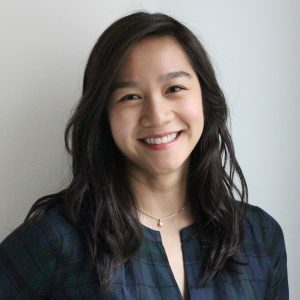 She was awarded the Andrew D. White Yale History Department Prize, recognizing the best senior essay on third-world history, for her undergraduate thesis on how Vietnamese women negotiated changing ideas of femininity, morality, and patriotism during the French colonial era. Before starting her doctoral studies at Columbia, Adrienne worked for four years as a digital campaigner and nonprofit strategy consultant in New York City -- collaborating with a range of organizations focused on refugee resettlement, women's rights, gun reform, creative technology, and civic participation.